Oppo F5 6GB in limited edition RED variant is here in the Philippines! 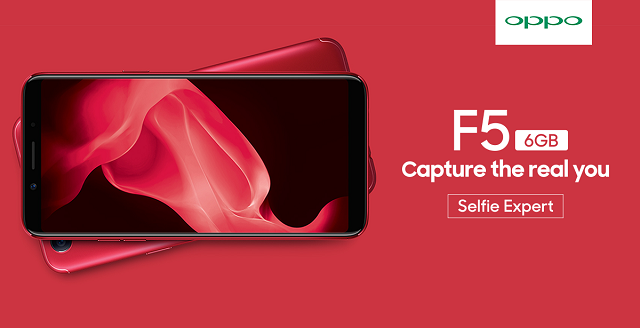 The Oppo F5 6GB Red Limited Edition was officially launched in the Philippines in Oppo's National Selfie Day, held in Enchanted Kingdom last November 30. The handset stunningly comes with a red paint-job and features the beefy 6GB RAM. This version also packs a bigger internal storage of 64GB. The Oppo F5 6GB Red limited edition variant has a powerful processor underneath. Together with the 6GB of RAM, it'll definitely chew everything thrown at it with ease. The Oppo F5 6GB still comes with the same set of powerful cameras. For one, it boasts the 20MP front-facing camera with AI Beauty technology and the capable 16MP rear shooter. The handset also features the tri-slot dedicated SIM tray with the microSD slot support of up to 256GB. Of course, the Oppo F5 6GB still highlights the 6-inch FHD+ Full Screen display with 18:9 aspect ratio for more immersive visual experience. Other nifty tricks are also present like the Speedy Facial Unlock and fast fingerprint reader. 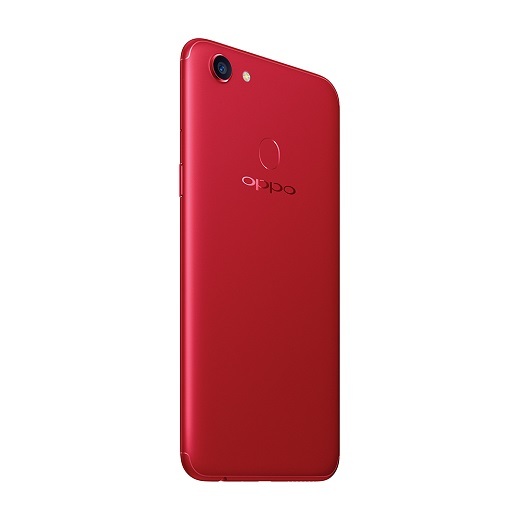 The Oppo F5 6GB Red limited edition packs 3200 mAh battery and runs with ColorOS 3.2 skin. 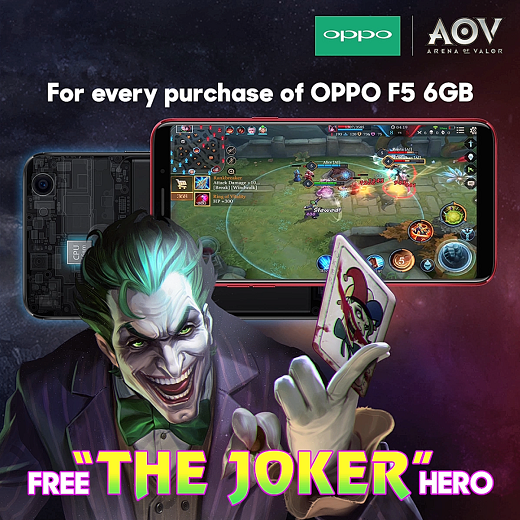 You'll also get the Joker, a newly released hero in Arena of Valor for every purchase of Oppo F5 6GB. The Oppo F5 6GB Red limited edition will hit the shelves on December 9 for Php 21,990. You'll get a free Olike Bluetooth Speaker worth Php 2,990 when you purchase the handset.